We are very pleased to announce that Detlef Lohse will be awarded the prestigious Balzan Prize 2018 for his fluid dynamics research. The price, of 750,000 Swiss Francs, will be awarded during an official ceremony in Rome, in November. 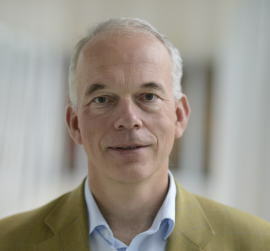 According to two eminent jury members, Etienne Ghys (research director of the Centre National de la Recherche Scientifique in Lyon) and Carlo Wyss (former director of accelerators at CERN in Geneva), “Professor Lohse is assigned the prize for his exceptional contributions in the most diverse fields of fluid dynamics, such as the transition to turbulent regimes in the Rayleigh-Bénard convection, the study of multi-phase turbulent flow, sonoluminescence, the properties of bubbles and drops down to a microscopic level, micro and nano fluidics”. Congratulations, Detlef, on this wonderful news! Read more on the news page of University of Twente, or on the website of NWO in English or Dutch.